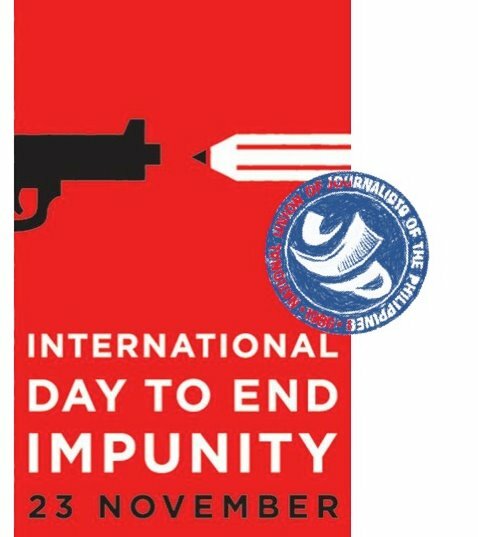 In preparation for the Nov. 23 International Day to End Impunity, media groups CMFR and NUJP call for a Blog Action Day. Over 500 days have passed since Benigno Aquino III assumed the presidency on a pro-change platform – but families of victims of extrajudicial killings have been made to wait and to wait longer for presidential action needed to spur decisive action by government. The administration has not done anything meaningful to address the political killings that were an indelible mark on the previous administration. A few statements in speeches, yes. But compelling action, nada. It is thus no surprise that international and domestic organizations lament that killings continue under the Aquino government, and that he has done practically nothing to address them and to put a stop to them. This inaction or refusal to act emboldens the masterminds and perpetrators of killings, and stabs endlessly at the hearts of victims who have long been denied the justice due them and their relatives. The Blog Action Day today called by the Center for Media Freedom and Responsibility, and the National Union of Journalists of the Philippines, is an opportunity to remind the President of his promise of change, and what change is needed in the attitude of his presidency and the rest of government on impunity. Simply put, the Blog Action Day aims to send this message to the President: We are outraged by the killings and the lack of justice, and it is about time that you take action, Mr. President. The issue is pretty heavy, especially considering the fact that the lists of victims includes the dozens killed in the Maguindanao Massacre. Murders are a dangerous topic, especially in our country. But CMFR and NUJP trusts that Filipinos who are active, vocal and articulate in blogs and other social media would take time out to blog, post a status update or tweet to tell the President that we know, we are concerned and we want him to act decisively and forcefully on this life-and-death issue. My Blog Action Day post: From fiction to fact, over at AsianCorrespondent.com.